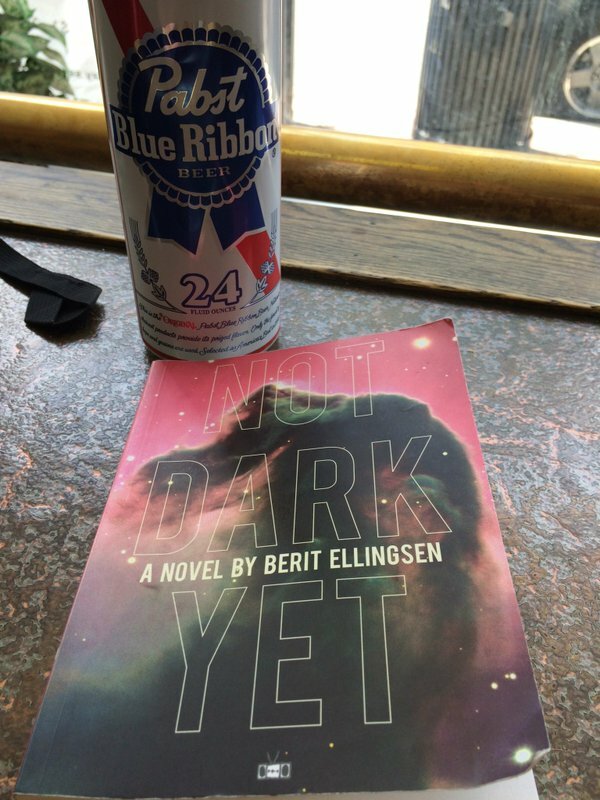 A few more sightings of Not Dark Yet with readers. This one is by writer Kathy Fish, author of Rift. 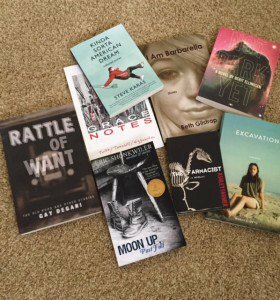 Here, Not Dark Yet is caught together with Moon Up Past Full by Eric Shonkwiler, among others. And here it’s writer Brett Gregory who read Not Dark Yet while doing his laundry. After posting this photo Brett was asked if he only read writers who shared his name (albeit misspelled). 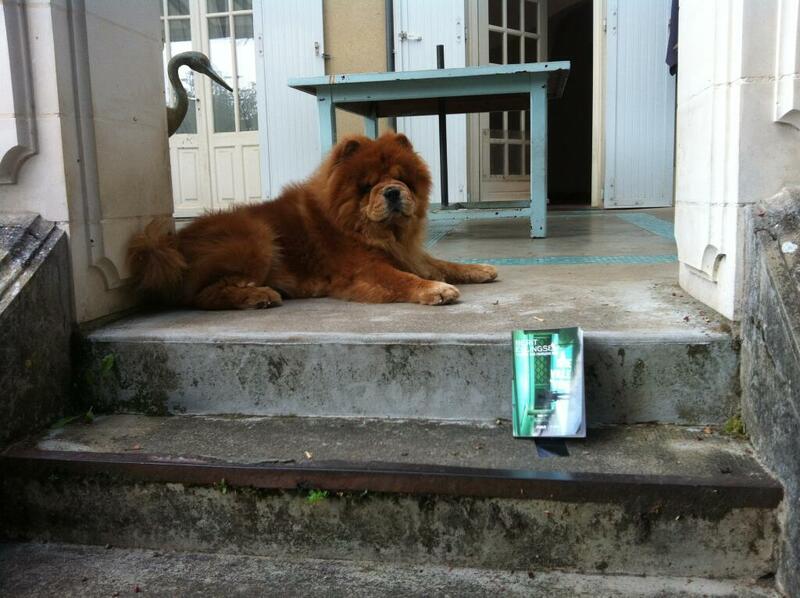 This capture of a chow-chow soon to be ambushed by a hidden crane, was taken by writer Anh Mat, while he was reading my first novel, Une Ville Vide, in France. Merci beaucoup Anh Mat for taking this fun photo!